This WP-CLI command crawls the entire site for validation, or as much of it as you’d like. –limit=<count> The maximum number of URLs to validate for each template and content type. 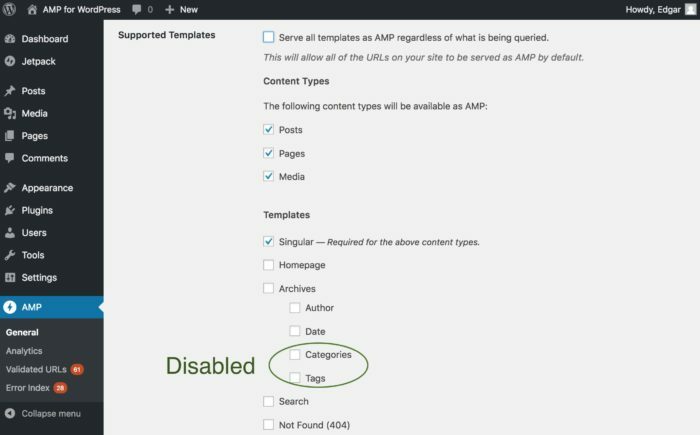 –force Force validation of URLs even if their associated templates or object types do not have AMP enabled. For large sites, validation will take a long time without using the –limit option. If you’re in Paired mode and those templates are disabled, it won’t be possible to validate them without a flag. You’ll see a link at the bottom that shows all of the validated URLs. 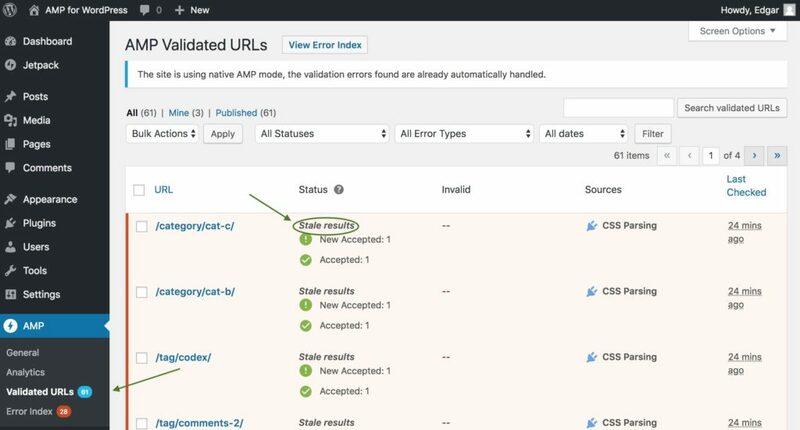 If there was a change in the site, like if a plugin or theme was activated, it can help to reset the validation.